So will Lewis Hamilton hold onto his World Championship crown? You can almost hear the engines revving up in the F1 paddock in Melbourne ahead of Sunday's opening Grand Prix of the F1 season. 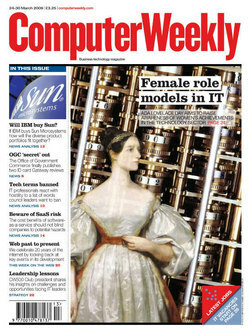 We know that Computer Weekly readers are the decision makers and thought leaders within the IT industry. So don't keep your opinions to yourself, make your voice heard within the industry and you could influence its direction. So I went to the Microsoft Surface UK launch yesterday at the lovely swanky Haymarket Hotel in London. Robert Carolina also supplied me with 15 questions the BBC should answer in relation to its investigation into botnets and cybercrime. The BBC's Click programme investigation into Cybercrime has caused a massive stir by doing a special on botnets whereby it took control of 22,000 home computers.